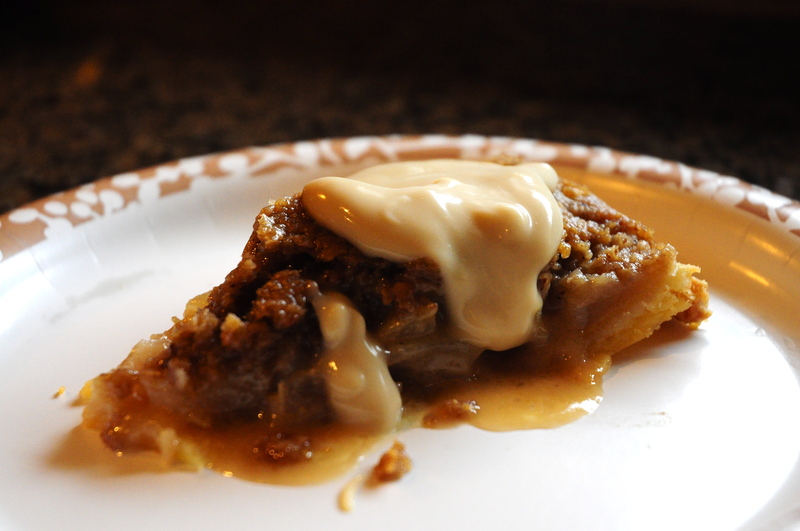 You can’t imagine how amazing this pie tastes, all gooey and dripping with creamy goodness! It is super easy to make, and very simple to adapt to gluten free. The recipe is from thepioneerwoman.com. I used a gluten-free pie crust from Whole Foods for the bottom crust and a gluten free flour mix by Betty Hagman for the crumb topping. The rest is as easy as, well…pie! The cream sauce calls for whiskey, but i used Kahlua instead. It gave it a slight infusion of Starbucks, and it was just perfect!